While the Ouija board or “talking board” has a seriously bad reputation with some people, Karen A. Dahlman has over 40 years of experience that shows an entirely different side of the board. Do you think the Ouija board is just a game or could it be used to establish real communication with other entities? Listen and learn. 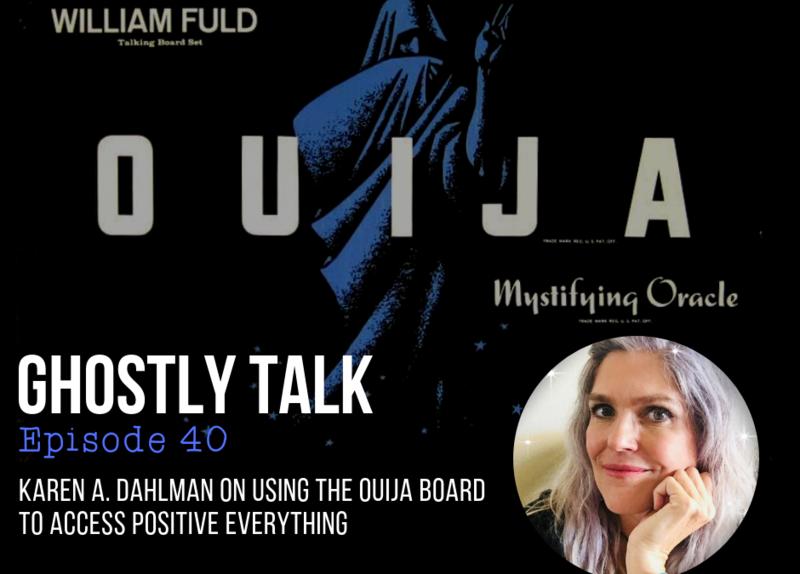 Karen A. Dahlman is a director of the Talking Board Historical Society, a channel for spirit guides, and the author of The Spirits of Ouija: Four Decades of Communication. She teaches ways to connect with the afterlife, the higher self and sentient beings that exist among us within the unseen dimensions. Within her message, Karen shares the positive side to the Ouija Board as a tool for exploring the expansive realms of consciousness. She has been featured on Beyond Belief, Coast-to-Coast AM Radio, Fade to Black and the UK’s Unexplained, as well as many other alternative media programs around the world. Karen helps others to discover and unlock their greatest selves, including their extrasensory perceptions, and engage these within the world. Karen holds a master’s degree from the University of New Mexico in archetypal art therapy, is a licensed psychotherapist and is experienced in hypnosis, past life regression and channeling. She is the talk show host of Creative Visions TV and speaks and presents at paranormal and spiritual conferences and events around the country. Download the show here or listen on your favorite podcast app.